Des Moines has a fair sized biking community and multiple bikes shops. Unfortunately not very many of those bike shops carry electric bikes. So I called around. That is when I met Derek, the owner of NorthTowne Cycling in Cedar Rapids. NorthTowne does carry electric bikes. Derek is a busy guy, especially in the spring, but took a lot of time to correspond with me via email and multiple phone calls to discuss what I wanted in a bike. I did my research before ever calling Derek and had narrowed down my search by talking to a few California bike shops. In fact, by the time Derek and I spoke for the first time I'd probably called over twenty bike shops and watched dozens of videos on Electric Bike Review. At that point, Derek was my last hope before ordering the bike I wanted from California and hoping it fit. 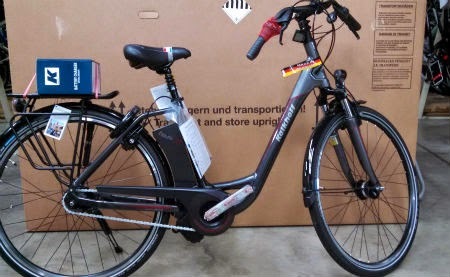 I've been wanting an electric bike for over a year. My research began in ernest fall of 2014, but really ramped up after I discovered Electric Bike Review. That's when I realized everything I wanted in an electric bike would not really suit me. Highly recommend checking out the Electric Bike Review community before even considering an electric bike. My original top 2 picks where immediately squashed by bad reviews and the amazing competition. 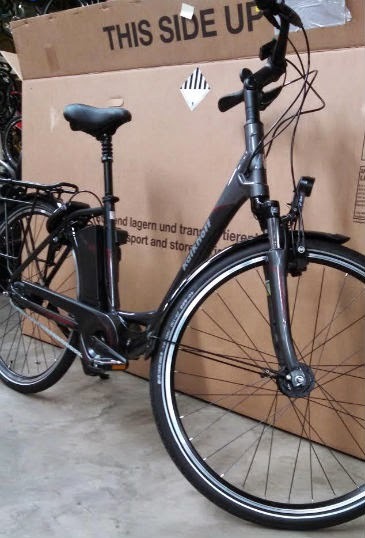 I discovered a few bikes I thought I liked and discussed why I liked them, what I wanted to do with my future bike, pricing and specs with Electric Cyclery, New Wheel, Long Island Electric Bikes, and Derek at Northtowne. These stores have great customer service, even in a busy season. I'm impressed with the immediate responses and high level of service I've received so far. They all have fairly nice websites too, but none of them really have very good specs, reviews, extra images, blogs, or details. You will likely have to call, email them, or look up bikes else where to compare. 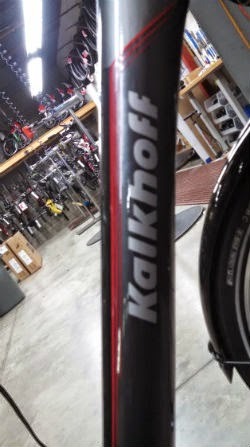 Once I knew what I'd narrowed it down to 6 bikes the shops helped me narrow it down to the Kalkhoff brand. Northtowne did not carry the Kalkhoff line but I told Derek about the bike, why I liked it, and asked if he had anything similar. It turned out he did not, but was so impressed with what I'd told him that he wanted to start selling Kalkhoff and was willing to contact the dealer to order a bike for me. Derek and I first started talking March 17th, it's April 3rd, and my bike just arrived in Cedar Rapids. Derek will need a day to setup the bike, put together my estimate, and collect the other list of accessories I want to add-on but I couldn't be more excited. I'll post another blog post next week when I go to test ride the bike. It's only a 20 minute flight or 2 hour drive. I'm very excited. The Kalkhoff Impulse 8 is an amazing bike. According to specs and the dealer representative, this bike outrides the competition and is middle high-end in pricing. Stay-tuned for more details. I found NorthTowne from Google Maps of all places. Des Moines electric bike selections are pathetic, so I made my search a little wider. Disclosure: No one paid me for this review. 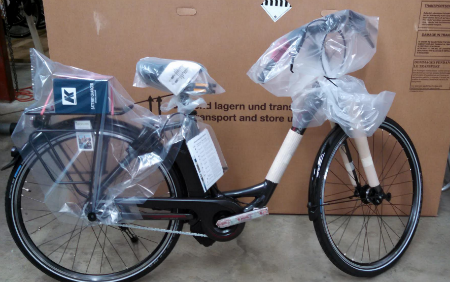 I did not receive any freebies, discounts, offers or threats from Electric Bike Review, the California Bike Shops, NorthTowne Cycling, or Kalkhoff in exchange for this blog post. I wrote this post because this blog is my personal diary. 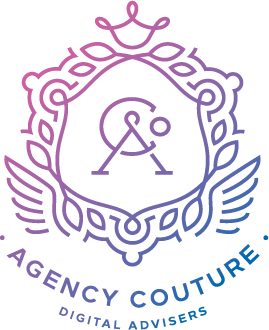 If, in the future, I am paid to write a post or given freebies from any of the aforementioned parties I will disclose it in that future post or in the disclosure section of this blog. At this time, Dragons have not chased me down and no one with wads of cash has coerced me into writing posts to sway you to shop at my favorite retailers. If I see dragons I will hide. If I'm offered cash or freebies for an honest review I will write it and disclose it. I am a sponsored ICEdot Athlete. I blog for them at ICEdotAthletes.com and have received a few swag freebies from ICEdot.